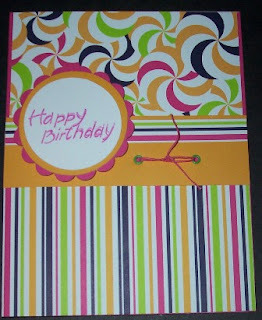 Little girl birthday cards are some of my most favorite to make because I get to use lots of fun colors and embellishments. My little niece is turning 3 and when I looked at this pattern paper, I knew she would love it. I can't wait to see her expression when she opens her card.